Air and computer duster addiction is more common than you think. It is because these substances are readily available and the user has easy access to them. Of course, you might not suspect that someone has an air and computer duster addiction. Most notably, many youths begin a deadly journey of addiction starting with air duster abuse. Air and computer duster addiction is the deliberate and compulsive sniffing of gases, volatile liquids and aerosols to get high. In addition, people also call it inhalant use disorder or huffing. Diagnostic and Statistical Manual of Mental Disorders (DSM-IV-TR) recognizes it as a category of substance use disorder. However, they don’t consider many cases a serious form of addiction. As a result, it usually doesn’t get much attention. In addition, you won’t find many scientific studies about this common but potentially harmful substance addiction. It is more common in teens and young adults. Conversely, studies also suggest an increasing trend in air duster abuse among school-age children. Considering the severity and chronic nature of air dust abuse, you should check if your child has such addiction. Addiction Science and Clinical Practice: A 2011 study shows amazingly high numbers of American children and adults who abuse inhalants including air and computer duster. 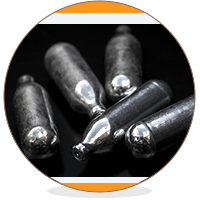 According to the study at least 22 million Americans of age 12 years or more have used the inhalants. What’s scarier is the alarmingly increasing trend of inhalant abuse among people of this age group. Even more, every year, more than 750,000 Americans use the inhalants for the first time. In fact, air and computer duster abuse could become the gateway for other serious forms of addiction. Therefore, you should take a serious note of that. Why Air and Computer Duster Are Addictive? First, the can of the air and computer duster stores gases in liquid form. Then, when you spray, the liquid chemicals inside the can converts into gas. Some common gases in such products include 1,1-difluoroethane, 1,1,1-trifluoroethane, or 1,1,1,2-tetrafluoroethane and fluorocarbons. When your kid inhales the gas, the fumes cause immediate changes inside the brain giving them a high. What are the Symptoms of Air and Computer Duster Abuse? Using any type of air and computer can have various short-term and long-term health effects. Because users breathe in these substances, the psychoactive gas reaches the bloodstream through capillaries in the lungs. Hence, the effects occur very rapidly. The long-term effects of air and computer duster abuse become evident only after continued abuse. If you notice any of the symptoms in your kid, you should rush for expert care. Sniffing death syndrome: In some cases, people reported immediate deaths due to sniffing. Do you see your kid lying unconscious and notice any sign of air and computer duster abuse? Call your doctor right away. What are the Withdrawal Symptoms of Air and Computer Duster Addiction? What Can You Do If Your Kid is Abusing Air and Computer Duster? Whatever happens, you have to remember that fighting with substance abuse is an uphill task for your kids. For example, they have a range of problems to overcome. These include guilt, degrading health, impaired cognition and distorted self-image. Above all, your support is the most important thing you could ever give to your kid. In addition, you can take precautions to curb further abuse. For example, keeping the air and computer duster away from their reach. In addition, you should seek help from qualified drug addiction experts. They will recommend the necessary treatments for air and computer duster addiction. Are your kid or teen struggling with air and computer duster addiction? In fact, the best way you can help them is by seeking expert suggestion. Addiction experts can recommend the most effective treatment to help your loved ones get back to a drug-free life. Click here to connect with the best in your area.